I began to evaluate and treat patients for mold-related illnesses in 1996. Most of these patients initially complained of respiratory problems: recurrent sinus infections, post nasal drip, shortness of breath, and wheezing. As I questioned them further, they clarified they were also suffering from other serious symptoms. Many described problems with extreme fatigue, memory loss, word searching difficulties, inability to concentrate, sleep disturbances, gastrointestinal distress, and allergies to foods, chemicals, trees, and grasses, as well as molds. At the 1997 International Conference for the American Academy of Environmental Medicine, I reported that molds give off a wide variety of chemicals, some unique to molds like trichothecenes, ochratoxins, and aflatoxins, and other volatile organic compounds that are not unique to molds, but molds give them off nonetheless. These mold VOCs include benzene, hexane, toluene, acetone, styrene, and others. The individual toxicities of these chemicals could be devastating to human health. Given that many of these chemicals are emitted from molds at the same time, their actions can be synergistic as they compete for the same clearance pathways through the body. Avoidance of mold-contaminated buildings and mold-contaminated items is mandatory for patients to get better. An experienced mold remediator may be required to determine the level of contamination and the liklihood of successful remediation. Treating the patient is just as important as treating the building. Avoidance of mold is often not enough to restore health. Patient treatments are available to help the body clear toxic chemicals emitted by mold. Intravenous nutrients that augment the liver’s clearance pathways can help the body convert toxic chemicals into forms that can be excreted from the body. Sauna detoxification combined with IV therapy also changes the distribution of the chemicals and aids in their excretion. Allergy desensitization for molds can bring relief. The treatment of mold/fungal infections is necessary. Sequestrants may also be helpful in a well-planned treatment program for mold-exposed patients. Please read my blogs for March 2013, April 2013, and June 2013 for more information. And view the movie Moldy https://moldymovie.com/index which shows how ill patients may become from mold exposure. 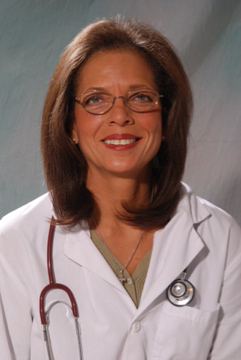 Adrienne Sprouse, M. D., M. Ed., an expert on mold-related illnesses, is the Medical Director of Manhattan Health Consultants, a chemical-free environmental medicine center. She evaluates and treats children and adults with a wide variety of illnesses caused by, or aggravated by, environmental factors. Tel. (212) 725-5744.